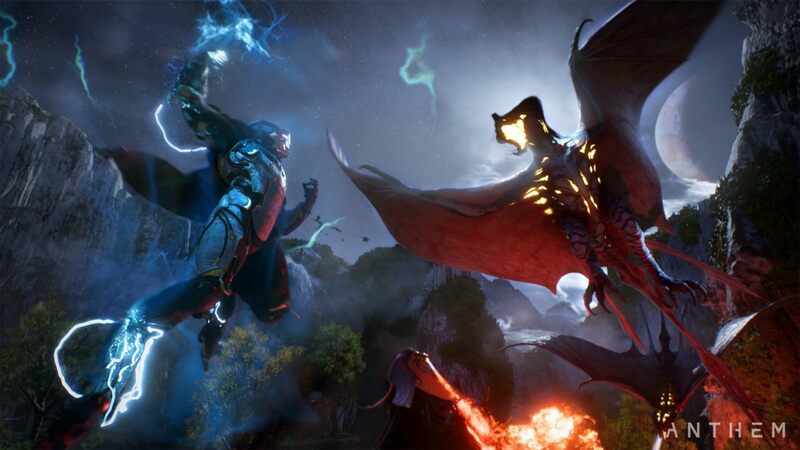 The voice of Anthem‘s female freelancer, Sarah Elmaleh, recently spoke to Variety about the game’s developmental issues, the toll that it took on employees, and the way that things need to change going forward to provide the best possible work environment for game developers. Basically, she sounds like she has a lot of love for the project. She also expressed the importance of unions. I personally loved working with everyone on the performance aspect—all of them passionate, intelligent, talented, committed—and I’m proud of what we achieved, embracing the story, characters, and relationships as they evolved over the years. But I also feel kinship and gratitude for everyone I didn’t get a chance to meet and thank in person for their work, and pain that they should have to suffer so much to create something fun and meaningful for all of us. After Kotaku’s exposé on Anthem‘s developmental issues and the lengthy crunch time that was implemented to meet its release date, it is no surprise to hear one of the game’s voice actors express gratitude towards the team. Especially since a lot of these developers faced mental health issues, due to work related stress. It was even reported by Kotaku that some employees were ordered by a doctor to take time off to recover from all of the stress. Elmaleh then spoke about unionization in the games industry. She went over how it is becoming more accepting of the idea. She credited her move from New York to Los Angeles as the jumping off point for her advocacy for unions. Since I moved to LA, I’ve seen such a shift in the way that the union approaches games that I’ve gotten excited and involved with union organizing essentially around games contracts. I was really, really involved in helping with the new low-budget contract and get that to the place it’s in, which means that union actors can now work on indie games, which they hadn’t been able to do before. Elmaleh said that she wanted to be part of a “sustainable lifestyle and a solution for everybody.” She explained that she is pleased to see the SAG-AFTRA Union organizers working closely with Games Workers Unite to help game developers use their leverage to create a healthy work environment, one in which they can thrive instead of struggle. Anthem‘s troubled development provides just one look behind this curtain and will serve as a good example of why unions in the games industry are a necessity. Nobody should require weeks off due to work related stress. If that is the case, the industry needs to do much better. They’re systems designers. If anyone in the whole world can do it, they can come up with something. If they want to fix it and do a new thing or custom thing, they’re best suited to figure out whatever that is. What do you think about unionization in the games industry? Let us know in the comments below!